We are so happy to be sharing our honeymoon registry with all of our family and friends. 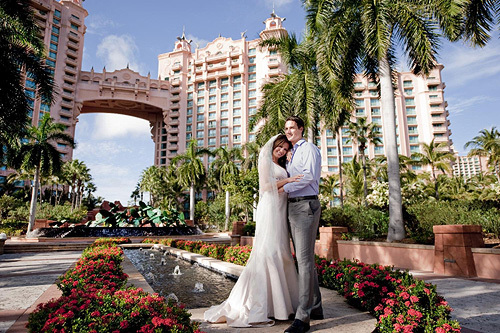 It has always been our dream to have a destination wedding at Atlantis Paradise Island, Bahamas. Dolphin Cay is an extraordinary, 14-acre dolphin and sea lion habitat that invites guests to interact in a way that leaves a lifelong impression. 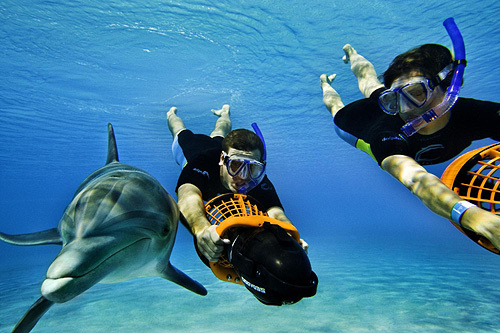 We can choose from several very exciting programs like a shallow water interaction where we can touch, hug and kiss a friendly dolphin, or a deep water swim where we can get a foot push across the lagoon and swim alongside a dolphin with a personal water scooter. We can discover the playful antics of a friendly sea lion and learn about the care for these spectacular sea animals with the Sea Lion Interaction or the Sea Lion behind the Scenes experience. 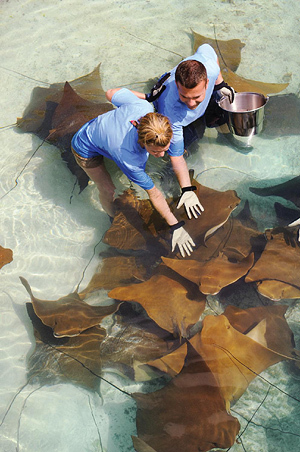 Atlantis, Paradise Island offers many exciting marine experiences, such as Snorkel The Ruins of Atlantis where we can snorkel in Atlantis’s largest lagoon amongst 50,000 marine animals including giant manta rays, sleek sharks and thousands of tropical fish. We can also snorkel and feed gentle stingrays in the Stingray Experience, walk with sharks in the Mayan Temple Lagoon, take a Snuba adventure on property or Scuba and snorkel at a nearby reef. Together, we will enjoy an exciting round of golf at Ocean Club Golf Course. 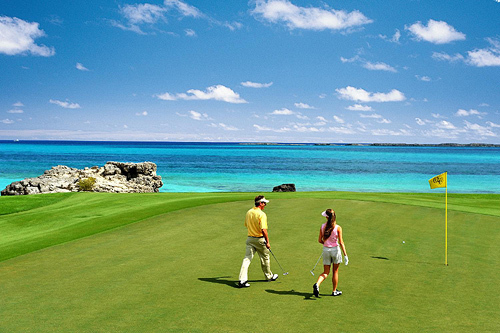 Designed by Tom Weiskopf, this 18-hole par 72 championship course stretches over Paradise Island’s peninsula. Surrounded by natural island beauty, this golf course boasts rolling fairways, spectacular greens and crosswinds that challenge even the most experienced players. On our romantic honeymoon we will charter a yacht and spend the day cruising the azure waters of the Bahamas. International Yacht Collection gives us the opportunity to enjoy exclusive water sports, snorkeling, island style lunches and other activities. Thanks to your wonderful wedding gift, we will enjoy a perfect honeymoon day in paradise! 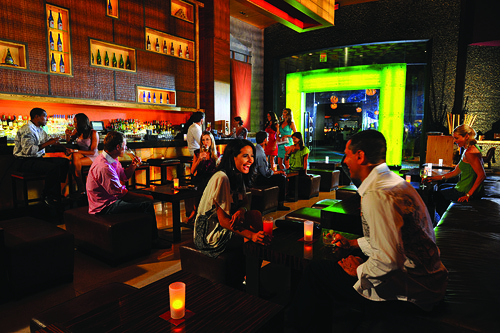 The nightlife at Atlantis is energetic and exhilarating. In addition to the electrifying casino with over 75 gaming tables including blackjack, craps and baccarat, 750 slot machines, and a sports book, Atlantis also has 19 bars and lounges. Choices range from intimate, upscale environments to casual poolside bars, including Aura nightclub, a 7,500 square foot club and the hottest nightlife destination in The Bahamas. For a night of entertainment, Joker’s Wild Comedy Club features some of TVs funniest headliners. On our honeymoon at Atlantis, Paradise Island, we look forward to experiencing the ultimate crème de la crème of accommodations…the world-famous Bridge Suite. Twelve-foot ceilings, hand-painted stenciling, profusion of gold gilt and glass and intricate architectural detail create an air of elegance and grandeur for this one-of-a-kind space. The 50 x 25 foot living room includes a baby grand piano, two entertainment centers, custom hand-tufted rugs, elegant drapery treatments and French doors leading onto a spacious terrace. A bar lounge, doubling as a gaming and entertainment center, is furnished with a marble inlaid chessboard and full-service custom-made bar. The dining room is highlighted by an iron and 22-karat gold chandelier, a custom-designed table for ten and gilt armchairs. Last but not least, the king bedroom of the Bridge Suite is an escape unto itself. Measuring 28’X17’, it includes a sitting area, his-and-hers baths and closets, a desk and activity table and entertainment armoire. Atlantis features 21 restaurants and 19 bars and lounges serving everything from gourmet to casual to quick-and-easy favorites. At Atlantis, we can savor a mixture of Southwestern cuisine with a Bahamian twist at renowned Chef Bobby Flay’s award-winning Mesa Grill, explore the truly exotic with Chef Nobu Matsuhisa’s world-famous Japanese restaurant Nobu, or taste the elegance of Café Martinique with the exquisite gourmet creations of Chef Jean-Georges Vongerichten. No matter where we dine, we are sure to not be at a loss for selection. On our honeymoon, we will want to do a little shopping so we can bring a piece of Paradise Island home with us. 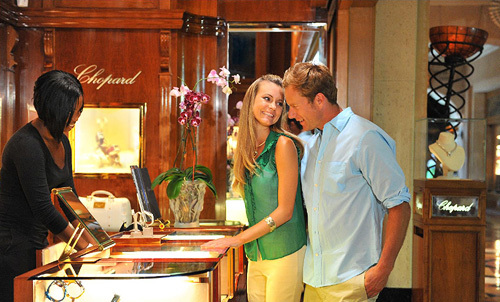 We will browse around the shops and boutiques in search of honeymoon keepsakes. From beautiful pieces of artwork, stylish accessories and apparel, to locally made products and souvenirs, we will find just what we wanted and cherish these treasures in the many years to come! 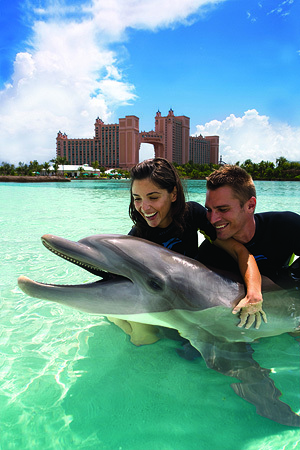 On our honeymoon at Atlantis, Paradise Island, we will experience the trip of a life time and discover a world of experiences waiting to be had. With your gift of a resort credit we will have the opportunity to dine in one of the resort’s 21 restaurants, indulge in a couple’s spa treatment, play a round of golf or partake in one of many marine experiences the resort has on offer. Atlantis Paradise Island promises us an exciting honeymoon escape! 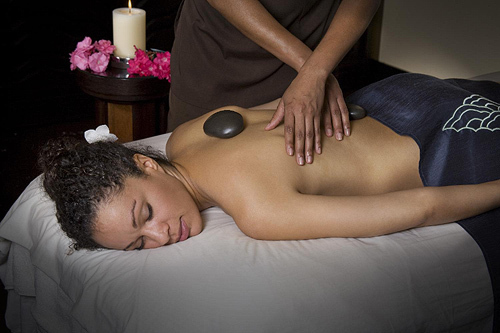 Mandara Spa brings together ancient Balinese healing touches, traditional European therapies and natural elements indigenous to The Bahamas. Offering an extensive selection of relaxing and invigorating treatments and therapies, we will choose from refreshing facials, pampering pedicures and manicures, indulgent baths, relaxing massages and more. With your generous wedding gift, we will discover a world of peace and calm! In a beautifully decorated setting with a backdrop of Atlantis Paradise Island in the Bahamas, we will exchange our vows in the company of our family and friends. Atlantis will ensure that our special day is perfect in every way with an endless array of wedding packages and the services of a wedding planner. With your gracious wedding gift, our beloved day will be just as timeless as we imagined! Thank You for visiting our honeymoon bridal registry and wedding website. We decided to use this honeymoon bridal registry to allow us to pre plan all the wonderful things we want to do on our dream honeymoon. If you have any questions about how our honeymoon bridal registry works, please contact a honeymoon registry specialist at 858-433-1506 and they can help with our wedding registry list. 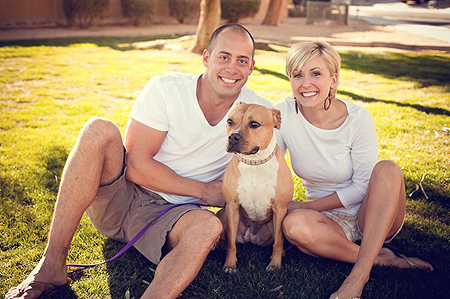 Again, Thank You so much for using our honeymoon bridal registry and wedding website. Most of all, thank you for being part of our wedding and helping us have the romantic honeymoon and wedding we've always imagined. Items cannot be purchased from a sample registry. If you're looking for a specific couple please search for them here.